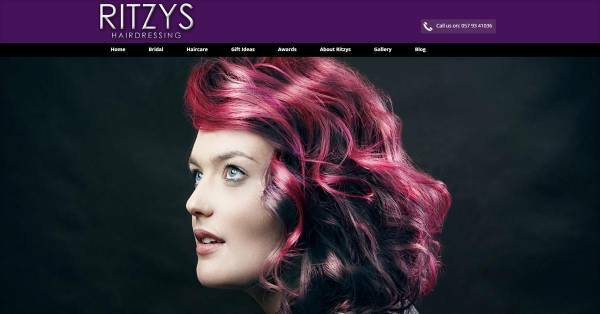 Ritzys Hairdressing salon is located in the Midlands of Ireland. It is a hair salon with a passion and enthusiasm in abundance for the industry. Established in 1985 and situated on William Street, Tullamore County Offaly, Ritzys has a reputation for being the number one hair salon in the area, providing excellent hair care, styling, cuts and colours over the last 20 years with an award winning team. 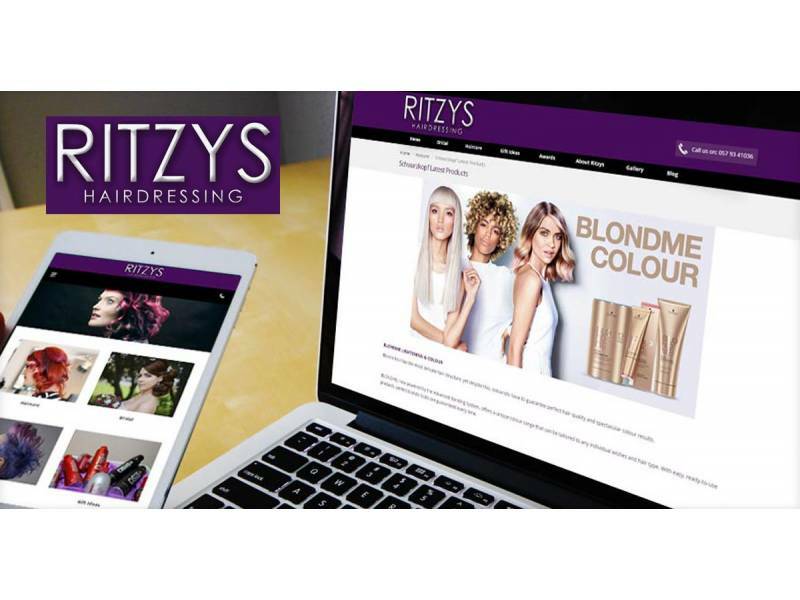 Ritzy's required a new website which portrayed their quality services, as well as their award winning achievements. Our first step was to learn about Ritzy's values and achievements and the needs of staff, their customers and visitors to their website. Considering the needs of each user, we then implemented these ideas into a structured, easy to use, modern website using the Dotser CMS. 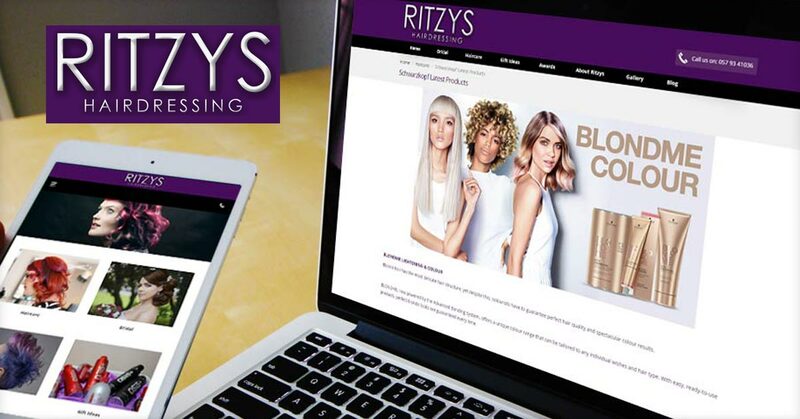 We worked with Ritzys to achieve a vibrant clean site which depicts all areas of their business in a clear concise manner and a CMS that could be updated to keep images and content engaging and fresh. The result is a fresh and engaging website that promotes their business, achievements, and awards and serves as a useful resource for administration needs.